My involvement with this group coupled with my experience in shooting sports has given me an ever-increasing confidence in my advocacy for the Second Amendment. We meet with both pro and anti states and I have learned if you don’t show confidence, demand facts, and share your deepest convictions, the message sometimes lacks comprehension by your legislator. My trip was incredible this year. I met with six offices from Indiana, New Hampshire, and Connecticut. 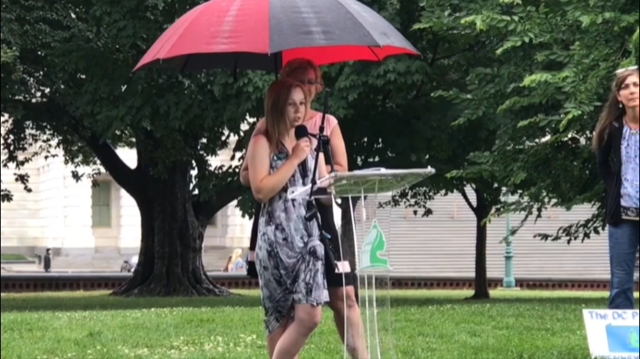 I also got a once-in-a-lifetime opportunity to tour the Eisenhower Executive Building with Vice President Pence’s Assistant Director of External Affairs and then following that, I spoke at the DC Project’s Rally for the Second Amendment on the U.S. Capitol Lawn. It was a humbling, overwhelming experience that I will never forget. Speaking with your state legislators is always a great experience and something that I truly think can make a lasting impression. 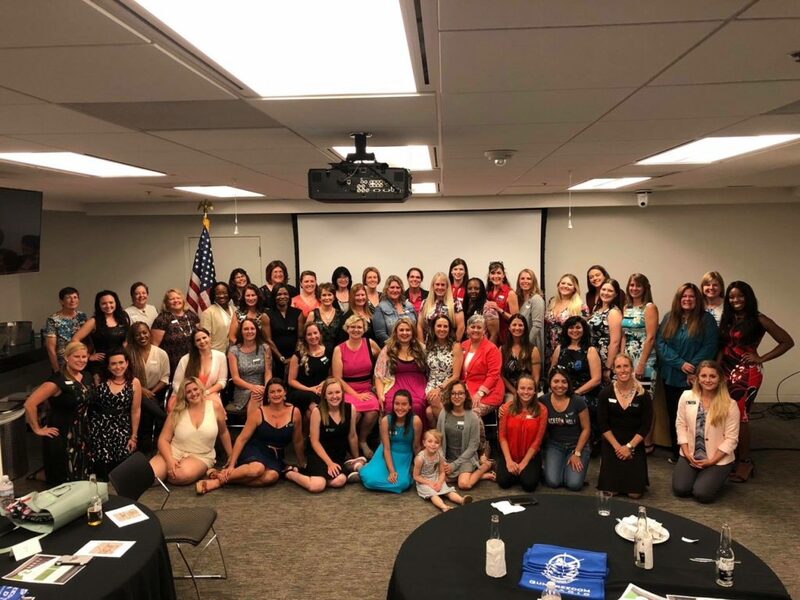 In our group there are sexual assault survivors, competitive shooters, huntresses, concealed carry advocates, talk show hosts, and even a former Olympian. We are an educated and experienced group that provides firsthand accounts of the importance of the right to bear arms. Indiana, my home state, is always extremely supportive of our cause and very open to discussing important pieces of legislation that are moving to votes in the House and Senate. This year, I met with a few legislative aids that provided me with some great insight on where Indiana’s Republican and Democratic Senators are leaning on votes during this term. 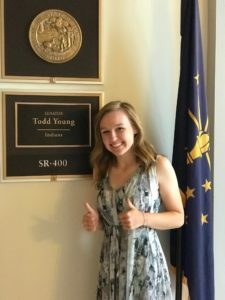 My district Representative, Todd Rokita and his office, have warmly welcomed us for two years and have been eager to discuss mental health bills, school safety, and have even shown great interest in the competitive shooting community in Indiana! 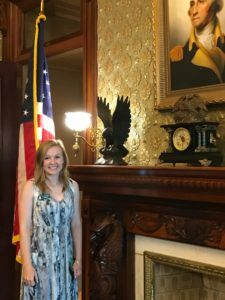 Visiting Vice President Pence’s office was an incredible experience. Himself and his staff are true examples of United States citizens that love this country and work hard to serve its people everyday. When we were discussing the overwhelming feeling that being in such a historic building brought to us, the comment was made that even working in the building everyday, that feeling never goes away. They are aware of the history and the growth that our nation has taken through the generations in that building. When walking down the staircases and roaming the halls, you can close your eyes and picture the frenzy that may have taken place during World War II or President Nixon retiring to his “hideaway” office to get some work done in peace and quiet. While all of these experiences are impactful in their own ways, speaking in front of the U.S. Capitol was the most impactful in the way of growth as a person and as a patriot. Being able to advocate for my rights in the city that is the true embodiment of the American Democratic Republic brought a strong wave of emotions over me. My speech contained personal examples of the positivity that the Second Amendment industry has brought to my life, but also highlighted the struggles that we often go through in a time where our rights are looking to be stripped away from us. Beth Walker during her speech. The D.C. Project is a movement driven by the true patriots of our nation. Our country has demanded that we preserve the freedoms that were secured for us in gruesome battles and in endless debate. John Adams once said, “You will never know how much it has cost my generation to preserve YOUR freedom. I hope you will make a good use of it.” The D.C. Project is making great strides in our mission to change the face of the Second Amendment for generations to come. Love this! Would love to learn more about it and how I can get involved!